1. 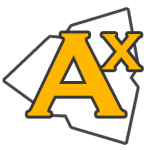 In Unity, create a quad and drag the logo texture onto it. Rotate the quad "facing up" so it will be easier to trace. 2. In Archimatix, add a FreeCurve node, and connect it to an Extrude. 3. 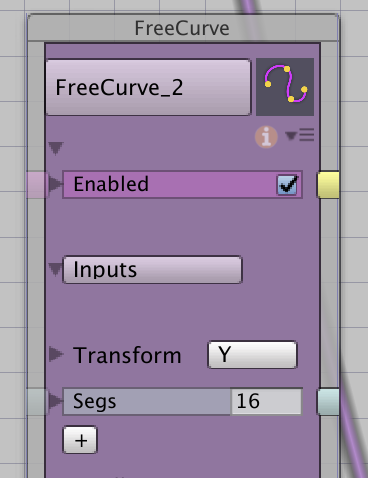 Select the FreeCurve node, and in the Scene view hit the "w" key to switch to Unity's Move Tool. The cursor becomes a pointer which is easier to work with. Click the [Add Point] button, and trace the major points on the logo. Close the shape by clicking on the first point. 4. Click+Drag on a point to move it. Click+Drag on a line to create a new point. Fill in the outline of the logo with as many points as needed. The FreeCurve will update. Even though the Batman® logo is all curves, I'm not converting my points to bezier. Bezier add vertices to the 2D shape according to the Segs parameter on the FreeCurve node. Bezier curves will add extra polygons to a mesh that might not be necessary. The 3D mesh nodes control normal and tangent smoothing under their Input tabs. 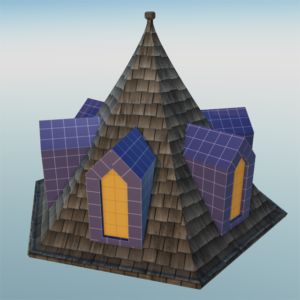 Archimatix can create a low-poly mesh with smoothed triangles, or a high-poly mesh with facetted triangles. Bezier creates more vertices, but their smoothing angle is controlled by the mesh nodes.